First off let me apologize if the format of these blogs are a little informally typed sometimes, a lot of time is spend working on the game and blog entries are done on the fly from an iPhone! 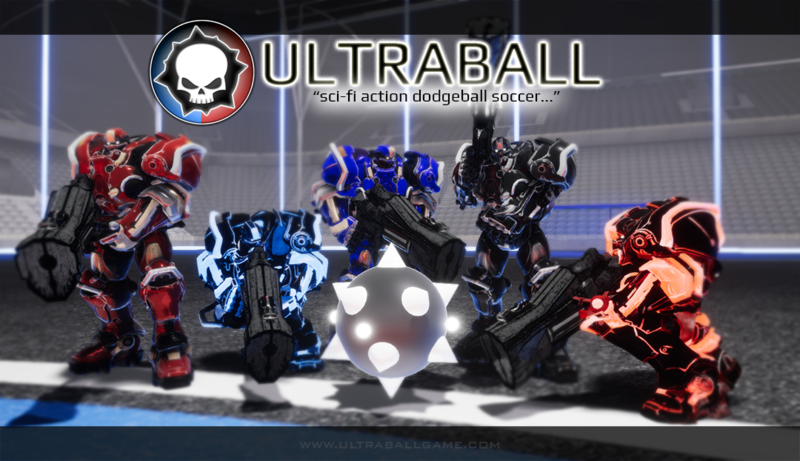 Happy to announce most of the mechanics are complete for the normal Third Person/First Person mode Ultraball (Vanilla). We are planning to do some East Coast USA Multiplayer Testing on our Dedicated server to judge game flow of these mechanics. Tentative Details can be found on our Discord #UPDATES – At the moment 6PM EST August 6th. This Release includes the following. Updates to Menu, animation etc. This charges over 5 Seconds and Cool’s down at half speed. Some minor effects added to the ball. This will recharge when they do not have the ball. Implementation of Graphic Settings Menu.